All About You: The diary of the ex-sufferer - Giving myself a chance! The diary of the ex-sufferer - Giving myself a chance! 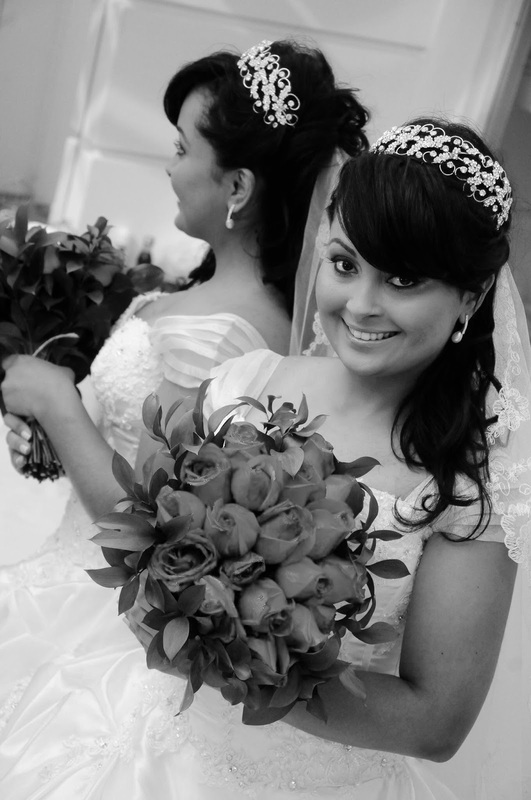 Beautiful Antonia Alencar on her wedding day. Even though my previous boyfriend had left me to be with another man, I chose to leave the past behind and move on. As it happens with most, thoughts came for me to give up on love and believe all men were the same, but I chose to give myself a chance. I allowed my inner wound to heal and chose to believe that I would one day be happy in love. I believed in my value as a woman, therefore I didn't need a man to complete me. I just wanted to share my life with someone who fit in God's plan for my life. The first time I saw Victor, I knew he was the one. His dedication caught my attention. We started building a friendship and getting to know each other better. This time around, I took things slow! We started as friends and remained friends for two years. During that time, we had lots of conversations about each other. I wanted to make sure that I knew him well. :) I didn't want to make the same mistake of following my heart. I had to use my intelligent faith. After many conversations and many prayers, we started dating. We dated for one and half years and then got married. Today we are very happy and living a dream. The happy couple beginning their life together. Where did I find the strength to carry on? "I focus on this one thing: forgetting the past and looking forward to what lies ahead, I press on to reach the end of the race and receive the heavenly prize for which God, through Christ Jesus, is calling us." When you forget the past and press forward, everything becomes new in your life. And now, friend, it's your turn! Give yourself a chance to move forward and change your future for the better! Once we accept God in our lives everything becames new. I never have thought as well would be loved by someone my age. I thought due the past I had would find someone old. But God is so amazing. He blessed me in my love life with someone who fears Him.